PLANED works with local people to encourage an understanding of sustainable development and engagement in projects which safeguard and enhance local biodiversity and the natural and built heritage. 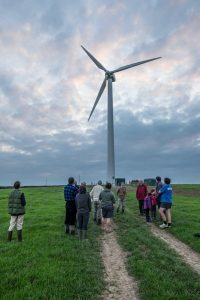 as a result which acts as an umbrella body for community energy groups in the county. The Pembrokeshire Community Growing Network has been set up with the help of PLANED to provide support for the growing interest in allotments and growing our own food in the County. The network has arranged site visits to see other projects, it can arrange events for people to share their experience and signpost groups to potential sources of funding and support. Publicity, open days and skills development opportunities may also be part of the network’s outreach support.